On Friday 27th April we had the local Lutterworth fire fighters come along to Bitteswell nursery. The children braved the rainy wether, put on there coats and hats and went outside to look at the Fire Engine and all its equipment. 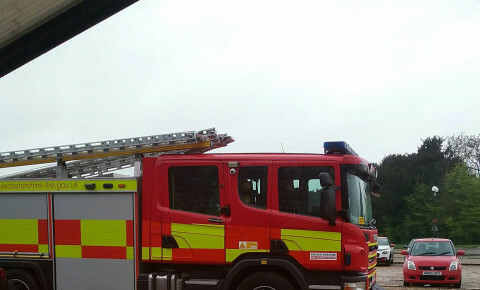 The children enjoyed sitting in the engine, looking at the Blue lights and listening to the siren, as well as trying on the hats, boots and other equipment. The firemen then came in and did a talk to the Pre-school children about how they help people in the community and what they do in there job. They also got out the equipment for the children to look at and touch. We would like to Thank the Lutterworth crew for there time, all the children loved your visit.